Turn right out of the Rowing Club, along Appley past the tower towards Seaview. Go along Springvale Road (Old Springvale Hotel 1 mile), as you turn inland at Seaview take the second left into Fairy Road, and go anti-clockwise around the block. 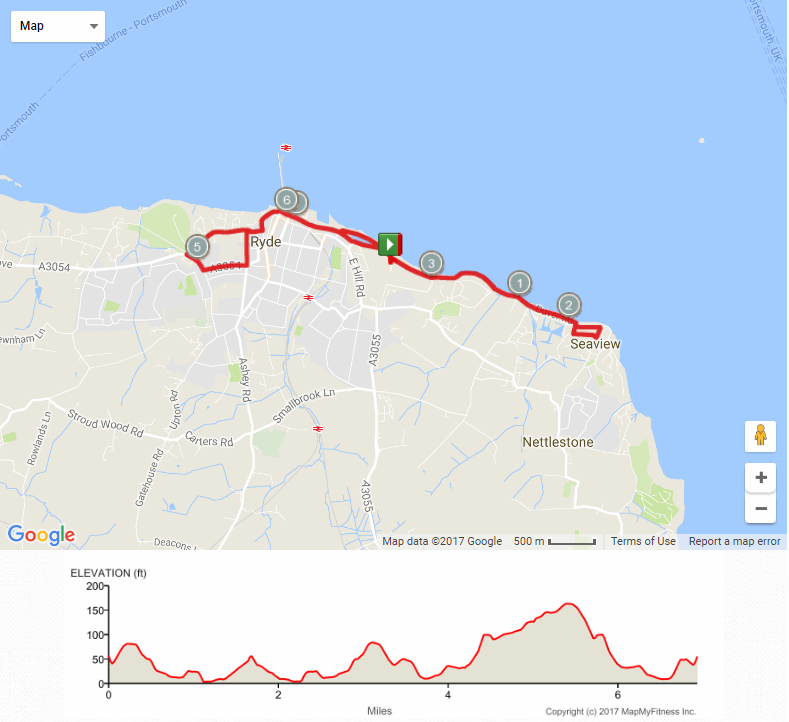 Turning left into Seafield Road, then Bluett Avenue and back along Duver Road (2 mile), past the Boathouse onto the seawall back towards the club house (Dell Cafe 3 mile). Carry on past the club house, past the canoe lake on the left-hand side, staying on the sea side of the of the esplanade. Keep to the left-hand pavement of Binstead Road and turn left into Queens Road at the traffic lights. Turn left at the next traffic lights into West Street, staying on the left-hand side of the road until after Lind Street (start of two-way traffic) then cross to the right. Staying on the sea side and continue along the esplanade past the bus station, down the left-hand side of the canoe lake, finishing at the club.